I guess there’s a lot of adjectives I’d use to describe myself, not all of them positive. I’m stubborn, determined, opinionated, bossy and can throw a strop like there’s no tomorrow. But I’m also strong. Some of the characteristics of my personality which can make me difficult, also result in me overcoming obstacles when I put my mind to it. I’m talkative, bubbly is a word that has been used to describe me before now. In fact, more than once. Which means I can talk to anyone by and large, but I do often struggle to hold my tongue in situations where I should! And I often waffle without really thinking about what I’m saying which can result in some rather interesting, not always positive situations. Sometimes I’m too dismissive, but ultimately, I care an awful lot about people. Especially those who are close to me. And I do try to show it! I’m incredibly needy, I require an awful lot of social input to make me tick and stop me from going stark raving bonkers and I’m fairly sure this drives a lot of people stark raving bonkers! People say I’m confident but I’m not really. I am comfortable in my own skin but my confidence is largely faked. I’m a strong believer in fake it until you make it! I also try only to do things that I actually enjoy and add value to my life. I am a trier though. I am willing to try almost anything. I’m also fiercely independent and not great at asking for help. I constantly feel like I need to prove myself because I’m not good at anything. But I am one of life’s pootlers, a jack of all trades but a master of none. I love adventure, exploring and travel. But often all three of these things both scare me and excite me at the same time. I have permanently itchy feet. I’m not sure I quite know how to settle anywhere at the moment. And finally, I am by and large a happy person. Not a MoaningMyrtle, although I have my moments! A while ago I asked by friend “How would you define yourself?” and although she didn’t get back to me with an answer (I’m still waiting by the way if you’re reading this), I was then posed with the same question. And if you’ve got this far, you’ve just read my answer. All these things, good or bad, make me who I am. But how we talk to ourselves is important, and how does that conversation with ourselves change when we start again in a new place? I have, finally, come to the realisation that we would never talk to our friends the way we talk to ourselves. The conversation that runs in my head often runs along the lines of “Why on earth did you say/do that?! Now you look stupid”, “my bum/thighs/arms are too big”, “you’re so weak”, “I couldn’t possibly do that”. I would never say these things to ANY of my friends. Why can’t I change this conversation I have with myself? Because it needs to change. So, how do we change this conversation? It must be possible. I’m not suggesting I have the answer. But why not try to understand ourselves a little better, to understand our own limits and actually look at what we are good at and in turn focus on that instead. Perhaps whenever we have see a negative in ourselves, imagine we are talking to a friend, and revise how we have that conversation. Let’s build ourselves up, not squash ourselves down. In all honesty, sometimes my internal monologue goes “oh my God I can’t believe you managed that, AMAZING”, “your hair looks good today”. It’s not all bad, although I think it’s time to make to the positive outweigh the negative! Now, how does that conversation change as we move into unfamiliar ground? Well, for me, it only got more negative at each set back. Each time I tried something and it didn’t work out, I got dejected and started to think the problem was me. The problem is not me by the way, the problem was persistence is required in order to meet people, i.e. I needed to bring in that famous determination I’m known for and stick out a few locations for more than one try. And it worked. I say worked, I’m in the beginning stages of making new friends. Slowly, slowly friendships will build and I’ll stop being so lonely. The other thing that was an issue for me was the unknown target of what university level study requires. But I got my first assignment back recently and I’m heading in the right direction! As a result, that negative conversation is gradually turning back into a more positive direction. It takes time to settle, to be comfortable in new surroundings and that essentially is when our self-talk will get more positive. That doesn’t mean we can’t help it along though through the settling period though! We all have highs and we all have lows. It the nature of the human condition. I think it’s important not to get stuck in those lows. So look for those signs, the excessive self-doubt talk, the “I’m not good enough”/”I can’t do it” conversations and take steps to change those conversations around. And one step at a time, we will hopefully find ourselves having more a positive relationship with the one person who will spend our whole lives with. 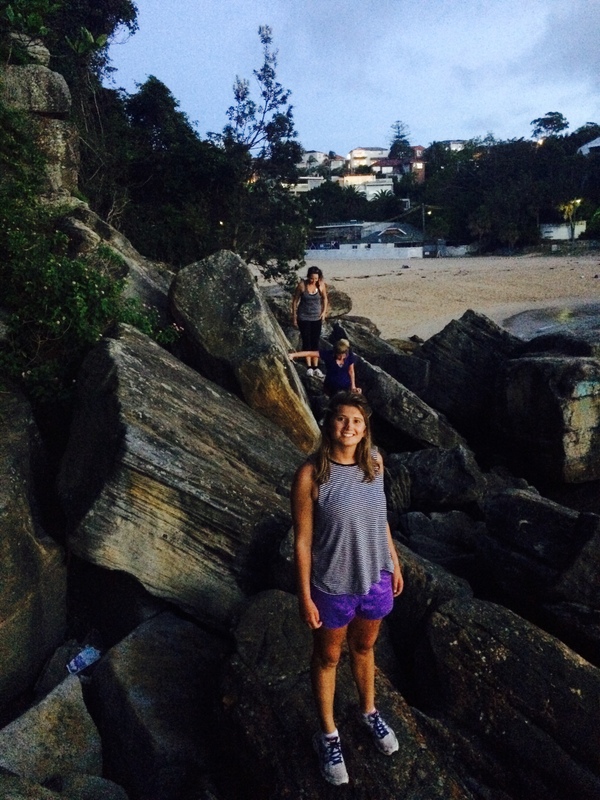 Toelyf is a blog about the adventures of Sarah Finn, a 20 something activity enthusiast. Feel free to explore. Its become apparent I quite like these large lumps of rock. Nothing to do with the large amounts of cheese that accompany most meals. Enter your email address to follow the toelyf adventure and receive notifications of new posts by email.